There will be an air conditioned Mercedes car with an English speaking driver waiting for you at Sorrento’s Port when you leave your ship. 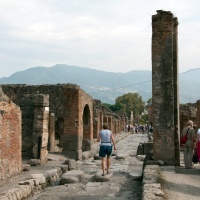 Once comfortably settled in your car we will start for an 8 hours tour to Pompeii, Herculaneum and Vesuvius. 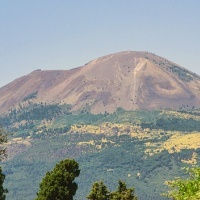 Starting from Sorrento’s port we will drive you for a fantastic shore excursion through the best places to visit nearby Sorrento in Campania. 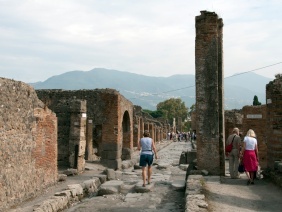 A visit to the world renown archaeological site of Pompei the City that was completely destroyed, being preserved as it was by the volcanic lava, in the eruption of Vesuvius in 79 A.D. 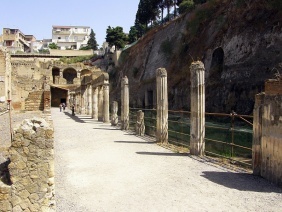 Walk around the streets and houses getting a feel of what people lived like in this bygone age, visit the amphitheatre and imagine the gladiators and lions fighting to the death. 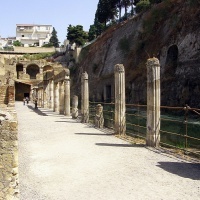 Continue your archaeological visit to Herculaneum to see the other famous town which were destroyed during the volcanic eruption of Vesuvius in 79 A.D. 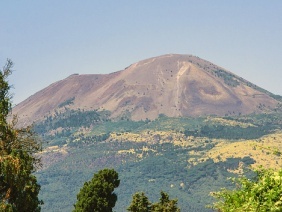 Climbing up from the town of Herculaneum we take the ever upward road to Vesuvius the dormant volcano that caused so much destruction in 79 A.D. We leave the car towards the top to continue on foot to the summit of the volcano to peer into its crater.